This article is about the main arch of Titus on the Via Sacra. For the one by the Circus Maximus, see Arch of Titus (Circus Maximus). The Arch of Titus (Italian: Arco di Tito; Latin: Arcus Titi) is a 1st-century AD honorific arch, located on the Via Sacra, Rome, just to the south-east of the Roman Forum. It was constructed in c. AD 82 by the Emperor Domitian shortly after the death of his older brother Titus to commemorate Titus's victories, including the Siege of Jerusalem (AD 70). The arch has provided the general model for many triumphal arches erected since the 16th century—perhaps most famously it is the inspiration for the Arc de Triomphe in Paris, France. The Arch provides one of the few contemporary depictions of Temple period artifacts. It became a symbol of the Jewish diaspora, and the menorah depicted on the Arch served as the model for the menorah used on the emblem of the state of Israel. In a later era, Pope Paul IV made it the place of a yearly oath of submission. The Frangipani family turned it into a fortified tower in the Middle Ages. It was one of the first buildings sustaining a modern restoration, starting with Raffaele Stern in 1817 and continued by Valadier under Pius VII in 1821, with new capitals and with travertine masonry, distinguishable from the original. The restoration was a model for the country side of Porta Pia. At an unknown date, a local ban on Jews walking under the arch was placed on the monument by Rome's Chief Rabbinate; this was rescinded on the foundation of the State of Israel in 1948, and at a Hanukkah event in 1997 the change was made public. The arch was never mentioned in Rabbinic literature. North, inner relief from the Arch of Titus in the Roman Forum. The arch is large with both fluted and unfluted columns, the latter being a result of 19th century restoration. The spandrels on the upper left and right of the arch contain personifications of victory as winged women. Between the spandrels is the keystone, on which there stands a female on the East side and a male on the West side. The soffit of the axial archway is deeply coffered with a relief of the apotheosis of Titus at the center. The sculptural program also includes two panel reliefs lining the passageway within the arch. Both commemorate the joint triumph celebrated by Titus and his father Vespasian in the summer of 71. The south panel depicts the spoils taken from the Temple in Jerusalem. The golden candelabrum or Menorah is the main focus and is carved in deep relief. Other sacred objects being carried in the triumphal procession are the Gold Trumpets, the fire pans for removing the ashes from the altar, and the Table of Shew bread. These spoils were likely originally colored gold, with the background in blue. In 2012 the Arch of Titus Digital Restoration Project discovered remains of yellow ochre paint on the menorah relief. The north panel depicts Titus as triumphator attended by various genii and lictors, who carry fasces. A helmeted Amazonian, Valour, leads the quadriga or four horsed chariot, which carries Titus. Winged Victory crowns him with a laurel wreath. The juxtaposition is significant in that it is one of the first examples of divinities and humans being present in one scene together. This contrasts with the panels of the Ara Pacis, where humans and divinities are separated. The sculpture of the outer faces of the two great piers was lost when the Arch of Titus was incorporated in medieval defensive walls. The attic of the arch was originally crowned by more statuary, perhaps of a gilded chariot. The main inscription used to be ornamented by letters made of perhaps silver, gold or some other metal. which means "The Roman Senate and People (dedicate this) to the divine Titus Vespasianus Augustus, son of the divine Vespasian." The opposite side of the Arch of Titus received new inscriptions after it was restored during the pontificate of Pope Pius VII by Giuseppe Valadier in 1821. The restoration was intentionally made in travertine to differentiate between the original and the restored portions. ordered it reinforced and preserved. ^ It was not a triumphal arch; Titus's triumphal arch was in the Circus Maximus. ^ "The Arch of Titus". exhibitions.kelsey.lsa.umich.edu. Retrieved 2017-07-06. ^ Diana Rowell (23 August 2012). Paris: The 'New Rome' of Napoleon I. Bloomsbury Publishing. pp. 43–. ISBN 978-1-4411-2883-6. ^ Shragai, Nadav (2006-10-19). "First Temple artifacts found in dirt removed from Temple Mount". Haaretz.com. Retrieved 2013-08-31. ^ Bromiley, Geoffrey W, "The international standard Bible encyclopedia", volume 4, pg. 98 "Usually associated with the báma are the cult objects known as massébá and séra". ^ Mishory, Alec. "Israel National Symbols: The State Emblem". Jewish Virtual Library. Retrieved 2014-07-30. ^ a b A Let's Go City Guide: Rome, p. 76, Vedran Lekić, 2004; ISBN 1-4050-3329-0. ^ The Buildings of Europe: Rome, page 33, Christopher Woodward, 1995; ISBN 0-7190-4032-9. ^ Morton Satin, a division director at the Food and Agriculture Organization published an article in The Forwardstating that he had successfully "stirred up had triggered considerable deliberation within Rome’s Jewish community" for a public end to the ban: Satin, Morton (2013-12-01). "One Man's Campaign Against the Arch of Titus — and How It Changed Italy's Jews". forward.com. Retrieved 2014-07-30. According to an ancient ban placed on the monument by Rome’s Jewish authorities, once a Jewish person walks under the arch, he or she can no longer be considered a Jew... the chief rabbi of Rome had told the Israeli Embassy that the original ban was no longer valid, since an independent State of Israel had been established. Unfortunately, no one who knew about the ban had ever been informed of its abrogation! ^ Steven D Fraade, The Temple as a Marker of Jewish Identity Before and After 70 CE The Role of the Holy Vessels in Rabbinic Memory and Imagination, p.246, "the Arch of Titus is never mentioned in rabbinic sources... there are several references to second-century rabbinic viewings of captured Temple objects in Rome"
^ a b c d e f g Artus, Paul (2006). Art and Architecture of the Roman Empire. Bellona Books. pp. 45–48. ISBN 978-0-9582693-1-5. ^ Ermengem, Kristiaan Van. "Arch of Titus, Rome". A View On Cities. Retrieved 2017-07-06. ^ "Center for Israel Studies | Yeshiva University". Yu.edu. Retrieved 2018-04-05. ^ "Arch of Titus, Rome - Building Info". Aviewoncities.com. Retrieved 2018-04-05. ^ "Arch of Titus". Smarthistory at Khan Academy. Retrieved December 19, 2012. R. Ross Holloway. “Some Remarks on the Arch of Titus,” L’antiquité classique 56 (1987) pp. 183–191. M. Pfanner. Der Titusbogen. Mainz: P. von Zabern, 1983. L. Roman. "Martial and the City of Rome." The Journal of Roman Studies 100 (2010) pp. 1–30. Wikimedia Commons has media related to Arch of Titus. 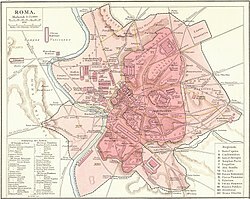 ^ "You searched for "arch of titus" - Jewish Telegraphic Agency". Jewish Telegraphic Agency.